Hurrah for green Tesla, ginger Coke and free Teapigs tea! Advances in green tech are smashing the headlines thanks to Tesla’s awesome invention of solar roof panels. These panels are not what you would expect – long gone are the big, bulky panels, this technology looks so much like everyday roof tiles that a whole Desperate Housewives set, full of journalists, did not notice that all of the houses they were surrounded by were fitted with solar roofing. The tiles work by being made of textured glass, allowing the sunlight through to the traditional panels below. but covering them enough to maintain a normal rooftop aesthetic. As an added extra, they are also fitted with heating elements to melt away snow in the winter. Ginger Coke – taste treat or taste hell? 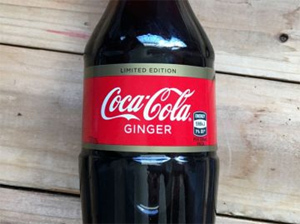 Jumping over to a different market altogether, Coca-Cola is bringing more than just festive cheer too, thanks to the introduction of ginger-flavoured Coke. Although this isn’t yet available in the UK, and has been launched in Australia and New Zealand, it’s caused controversy around the globe as Coke-addicts (controversial) share their expectations and thoughts on this quirky new flavour. Any new flavour to as recognised a brand as Coke will no doubt cause a stir and reach worldwide fans, as the legacy of its brand precedes it and makes it far easier to cause a splash. 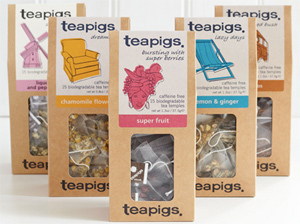 From one beverage to another, the specialist tea brand Teapigs is celebrating its 10th birthday today (2nd November) and dishing (or should that be mugging) out free tea for commuters all over London and beyond, at a range of cafes, stations and various venues. This lovely gesture, now aptly dubbed Free Tea Day, is a brilliant and very British stunt; everybody knows we love a good cuppa, after all! Unfortunately, there’s an awful lot of bad PR in the works – here are just a couple of examples of what not to do if you want to keep your PR job! 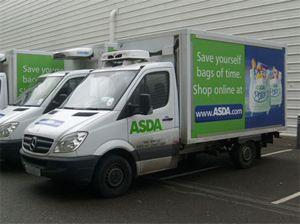 Asda is suffering the consequences of ignoring customer complaints, after whistleblowers alerted the programme, BBC Watchdog, to the state of the national chains’ home delivery vans. Shocking pictures of revolting van interiors, where customers’ food has been kept, have horrified the UK’s online shoppers. Asda has been forced to apologise, and confess that it has ignored customer complaints originating from the affected stores. This is a problem that should have been rectified immediately, and the brand is now suffering under the glare of the media as a result. In the run up to Christmas, when many people rely on home-delivery services, this is bound to stay in the mind of shoppers when they consider where they will be placing their festive orders. Getting governmental for a moment now, the FBI has come under criticism in America after investigating alleged connections between Russia and Donald Trump, the presidential campaign and its backers. 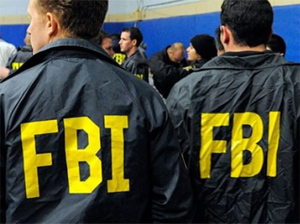 This controversial news has led to the FBI facing angered Americans and people around the world, who feel that their involvement has politicised the organisation, because it’s perceived as taking sides. Of all the problems the FBI faces on a day-to-day basis, we imagine this is pretty small on the list; although it is important that these organisations remain on neutral ground as much as possible. 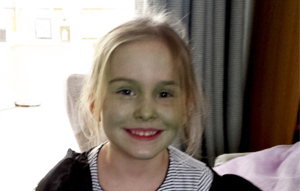 As the election tensions build, no doubt there will be a new development within a day or so to take the shine away from this story and onto the next scandal.